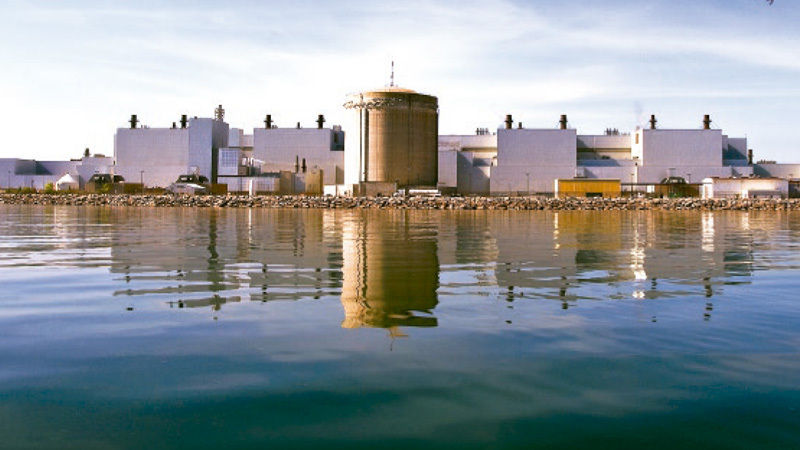 In April 2015 the Canadian Nuclear Safety Commission (CNSC) held a 3½ day hearing to consider Bruce Power’s request for a 5-year license for the 8 reactors it operates near the town of Kincardine, on the shores of Lake Huron. The discussions that took place around emergency planning issues are of great relevance to Durham Region, with its own 10 reactors (6 at the Pickering Nuclear Generating Station, 4 at Darlington NGS), and with OPG (Ontario Power Generation) slated for a hearing with CNSC later this year to ask for a 13-year license for the Darlington Nuclear Generating Station. This posting is to list some notable things that were said at the recent Bruce hearing. (You can find a Webcast of the hearing here). The quotes referenced in this post all come from April 16th. The written transcript for that day is linked here. Canadian Association of Physicians for the Environment (CAPE) -- pages 101-116, YouTube here. Jutta Splettstoesser -- pages 249-277, YouTube here. Much last-minute scrambling took place on the part of Bruce Power (& the municipality) to make emergency plans around the Bruce plant appear to be thorough & up-to-date. This became apparent during Ms. McClenaghan’s remarks on behalf of CELA, as referenced above, found on pages 28-86 of the transcript. Sudden new plans had materialized, an old missing Appendix N from the plan that was continually referenced never actually did materialize. Bruce Power was quick to claim that much had been done, but as Ms. McClenaghan pointed out: “These are old plants, operating for decades and it’s not as though they were just commissioned last year and it’s not as though emergency planning is a new topic. And in my report I indicated to you the recommendations that were made 20 years ago—over 20 years ago by a Cabinet committee and I use that as the framework for some of the recommendations. That report from the Ontario Cabinet doesn’t appear to have been acted on, at least that we can see because, for example, the planning basis hasn’t been revised and the emergency planning zone hasn’t been revised.” (transcript, Page 32-33). Ms. McClenaghan was complimented by three different sources for her/CELA’s work on nuclear emergency planning over the past few years. The first to do so was OFMEM (Office of the Fire Marshall and Emergency Planning) staffer Dave Nodwell (pg. 42/5 of the transcript). The second was CNSC tribunal member Rumina Velshi (pg. 51/62) and the third, CNSC staffer Ramzi Jammal (pg. 70). While DNA is fully aware of Ms. McClenaghan’s determined & persistent efforts, to hear these complimentary remarks being made was highly unusual. The contributions of public interest groups are almost never acknowledged in this way. The actions taken to update emergency planning around nuclear plants in the past few years can be attributed not to proactive action from the CNSC, not to proactive efforts from the nuclear industry, not to action from the various government agencies tasked with nuclear emergency planning – but as a result of the Fukushima accident -- and the ongoing public pressure, pure and simple. Claims had always been made that reactors were "safe." Now, post-Fukushima upgrades, they are said to be "even safer." There is no question that public pressure is essential for creating better emergency planning. Yet another sign that public pressure regarding nuclear emergency planning is required & is recognized as valuable: OFMEM’s Al Suleman saying (in reference to Bruce County resident Ms. Splettstoesser’s intervention), “I just want to comment that the information provided by the intervenor is actually very useful and very timely for us.” (page 264 of transcript, 267 of the pdf document). Ms. McClenaghan’s reference to a Cabinet document from September 1993 reveals that the planning basis for a nuclear emergency in Ontario was the subject of study going back to 1988, i.e., 2 years after the April 26, 1986 Chernobyl nuclear accident (now 27 years ago). Cabinet called for a change of the planning basis in 1993. Yet it has still not been changed. Dr. Sandor Demeter. “As a physician advisor to CNSC, I just wanted to make sure that there was a clarity. The intervener initially said that the benefit of the pill is within two or three hours and I want to make sure that there's a clarity that two to three hours is before they are exposed. There's about a greater than 95 per cent chance of blocking, if you know that the wind is coming and you take it before you're exposed; about a 90 per cent of blocking if they get it the same time you're exposed; and diminishing returns thereafter. ** For the record, look at the American Thyroid Assoc-2014 brochure regarding the use of KI, which lays out sobering information about the lack of KI protection for the children of Ukraine & Belarus, leading to aggressive thyroid cancers there. The recent Bruce hearing is very relevant to the Durham situation in a number of ways. Secondly, all these discussions around emergency planning have every bit as much relevance and importance to the citizens of Durham Region as they do to the Bruce County community. Bruce Power has 8 operating reactors. Durham is home to 10 aging reactors all told, between the Pickering & Darlington Nuclear Generating Stations. Nuclear emergency planning is a provincial responsibility. It can all seem more than a little confusing, with so many different levels of government involved (see posting here for a list of them all). There are indeed a great many cracks for things to fall between – and things definitely did fall between the cracks in Japan, where among other issues, the “chain of command” failed. Nuclear emergency planning in Ontario is not adequate. Not up-to-date, not up to snuff. ** Quotations page posting for insights about nuclear emergency planning, its weaknesses, & including official conclusions about the causes of the (very much ongoing) Fukushima disaster. ** Recent Fairewinds YouTube (17 minutes) that lays out 4 common elements to the nuclear accidents at Three Mile Island, Chernobyl and Fukushima.